The City of Twentynine Palms, California, in the southern Mojave Desert, is the home of Joshua Tree National Park headquarters and north entrance, and is a gateway to the Mojave Trails National Monument, Mojave National Preserve, and Mojave Desert Wilderness areas. Desert solitude in Southern California ~ Singing sand dunes, volcanic cinder cones, Joshua tree forests, and carpets of wildflowers are all found at this 1.6 million acre park. A visit to its canyons, mountains and mesas will reveal long-abandoned mines, homesteads, and rock-walled military outposts. Walk the famous Kelso Dunes, camp at Hole-In-The-Wall campground and check out their visitor center, and definitely stop at the main Kelso Depot Visitor Center on Kelbaker Road. 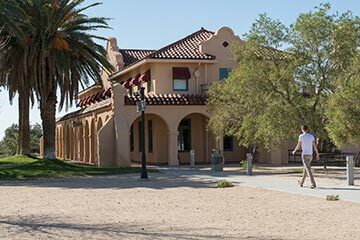 Originally opened in 1924 as a train station, Kelso Depot was renovated and reopened in 2005 as the visitor center for Mojave National Preserve. Former dormitory rooms contain exhibits describing the cultural and natural history of the surrounding desert. The baggage room, ticket office, and two dormitory rooms have been historically furnished to illustrate life in the depot in the first half of the twentieth century. A 20-minute orientation film is shown in the theater. Located between Los Angeles and Las Vegas, Mojave provides serenity and solitude from major metropolitan areas. 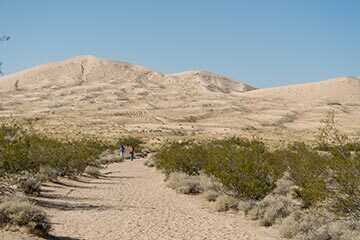 Discover the Mojave National Preserve and Mojave Wilderness Areas just a short drive from the gateway of Twentynine Palms, California. LEAVE NO TRACE: While enjoying your visit, help minimize your impact by staying on designated paths, packing out litter, respecting other visitors and wildlife, and leaving natural and cultural resources as you find them.